Midland (stoke on Trent) Grab & crane Hire is located just outside stoke on Trent and provide a quality Hiab/Crane Hire service. We also provide Plant Transport services throughout the UK and Ireland. All Plant Machinery and Agricultural machinery up to 13.5 Tonnes collected and delivered on time to suit you or your customers schedule night or day. Container Movement services also available. Do you often unload cargo that requires a forklift in remote places? We can not only take away the need for the forklift but also lift your load into place’s that would involve heavy lifting work for men where there is no plant on site. Our 26-ton metre Hiab Crane has a 15 metre reach for loads up to 2 tonnes and handles up to 8 tonnes close in. Containers ? Generators ? Heavy Steelwork ? Require Hiab Haul ? 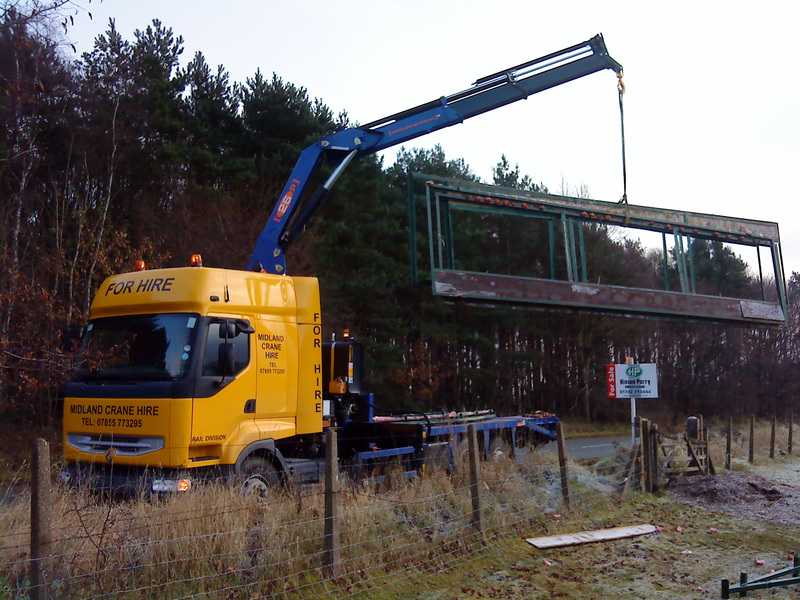 we can move it all and site it efficiently and safely with our Remote control Hiab Crane which is operated by trained personnel who carry all the necessary Health and safety cards. CSCS, PTS (Network Rail) and ADR are all covered. In addition we also offer collection and delivery of Plant Machinery up to 13.5 Tonnes. Loading shovels, Tracked 360 machines, Rollers, Dumpers etc we can move it anywhere within the UK and Ireland. We have over 10 years personal experience in Logistics planning and providing. Leave the headaches to us and call for a no obligation quote today.